Chris Nguyen did an excellent job covering the Central Committee meeting from last night from his BlackBerry (Yes, I have told him to grow up and get an iPhone). He will likely be taking the day off today from blogging to rest his thumbs. I will try to pick up the slack a bit and write about a lesser noticed item from last nights meeting. This blog has been a bit rough on Travis Allen over the past few weeks but he will be happy to know that he is going to be getting some positive press here. It appears that he has sent out a mail piece to AD 72 voters and left a copy of the pieces on chairs at the meeting last night. This entry was posted on May 22, 2012 at 8:30 AM	and is filed under 72nd Assembly District. Tagged: Travis Allen. You can follow any responses to this entry through the RSS 2.0 feed. You can leave a response, or trackback from your own site. The iPhone is garbage. I would get an Android phone long before I would I get an iPhone. 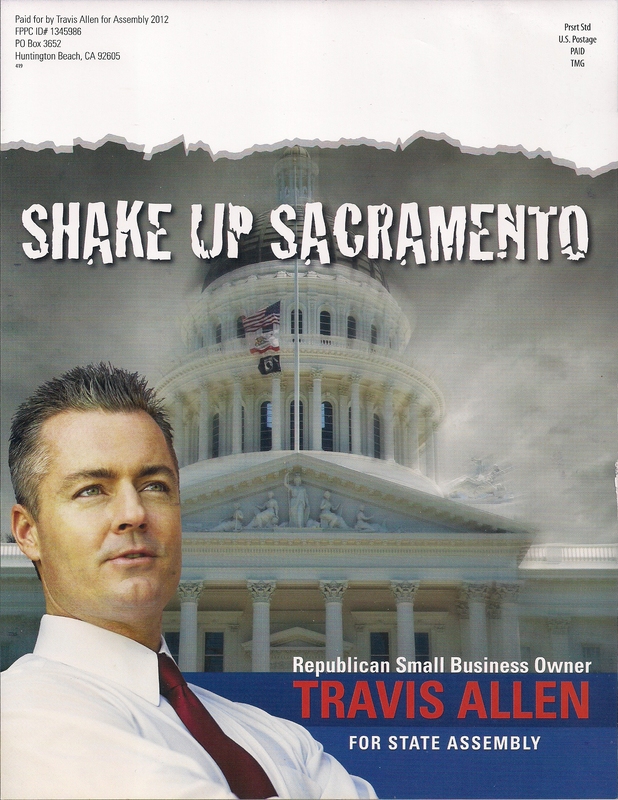 Travis Allen needs better advice than he’s been getting. He threw a fund raiser recently — in Laguna, so far out of the District that he should have hired a party bus. Your comments are ridiculous. Candidates have supporters that live outside their district. There is nothing wrong with those supporters putting together an event. Driving on the 405 last night I saw a Travis Allen sign. But not just any sign. 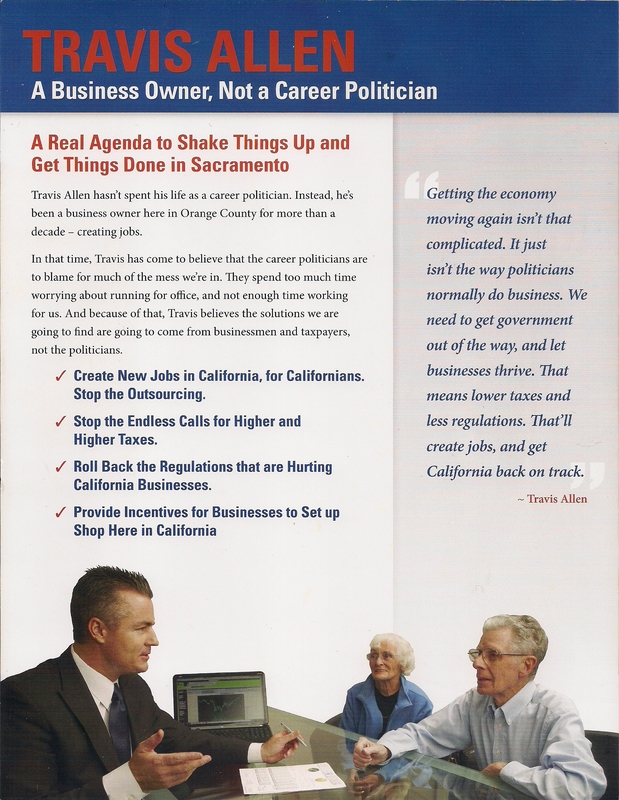 The huge LED sign that normally promotes the car dealers on Beach Boulevard included a few seconds of “Elect Travis Allen” using what appears to be the same picture as in the mailing. It would be interesting to know the cost. It certainly gets a driver’s attention.